If you’ve been anywhere in the vicinity of the Lancaster Barnstormers ballpark this past month, you may have noticed a lot of hustle and bustle in preparation for opening day at their home field. We found ourselves in the midst of all the fun as we worked with our client, Lancaster County Career & Technology Center (LCCTC), who is one of the team’s sponsors this season. 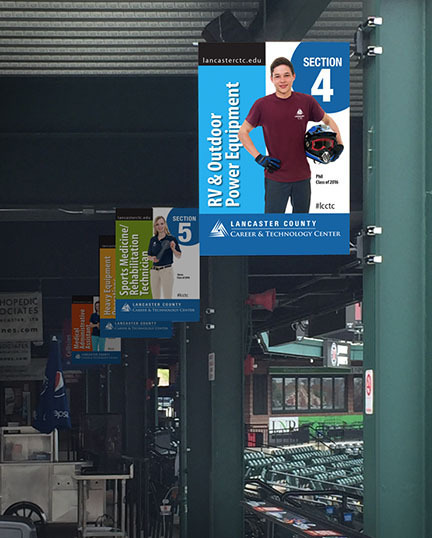 To help LCCTC brand themselves in the Barnstormers stadium, we created a huge entrance banner, colorful section signage, floor graphics, step riser signs, cup holder stickers, and sets of “baseball cards” featuring LCCTC students. We had a really good time doing all this “out of the box” creative. We think we hit a homerun! We’re planning an agency “field trip” to an upcoming Barnstormers game. Maybe we’ll see you there! Comments Off on Take us out to the ballgame! Over many years in this business, we’ve come to recognize something that many of our clients have in common—a fear of white space. Or maybe it’s not so much fear as it is an uncontrollable urge to fill up all available space in their ad, billboard, brochure, e-blast, banner ad, etc. Perhaps it has something to do with a feeling that, since they are paying for the space, some content should occupy it. It’s not just our clients, though. Many people have the same fear or urge. While we understand it, we vow to never stop fighting for the cause of white space in everything we do. You see, in design, white space has purpose. Not only does it draw the eye, but it also relieves the eye from relentless clutter. White space gives balance and harmony to layouts. Imagine if you tried to read a printed page with no space between words or lines of copy. Furthermore, very smart people have researched this and found that white space improves the readability and comprehension of printed material. So, trust us on this. White space is a good thing. And here’s a really good example of white space at work. Any number of factors can influence the selection of colors for a client project. 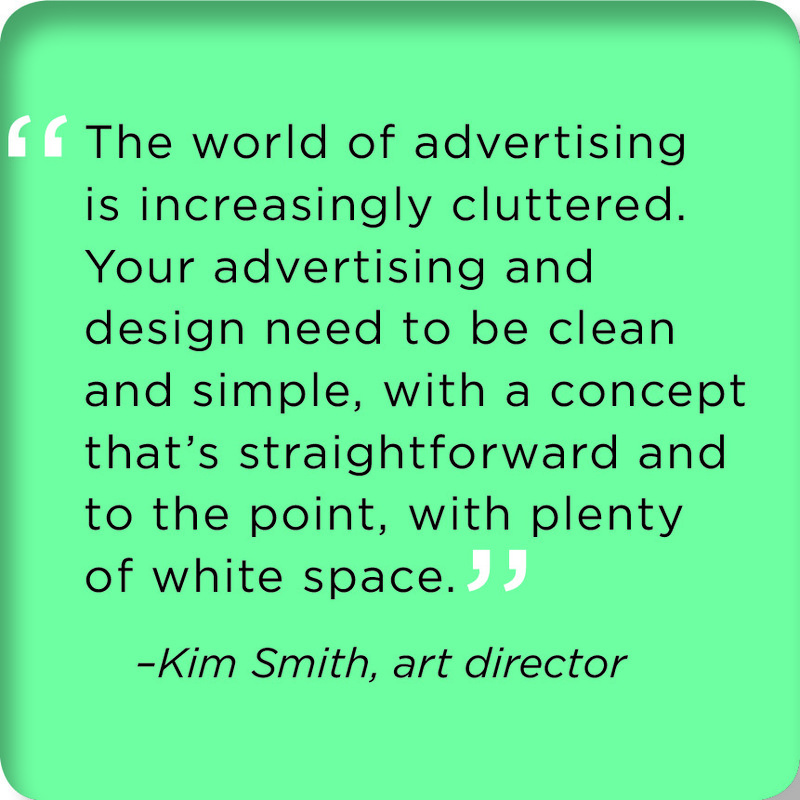 Kim Smith, our art director, explains that it’s never just a random process. A client’s corporate colors also can affect the choice. Ultimately, color makes a statement. Sometimes it’s a whisper, sometimes a shout. 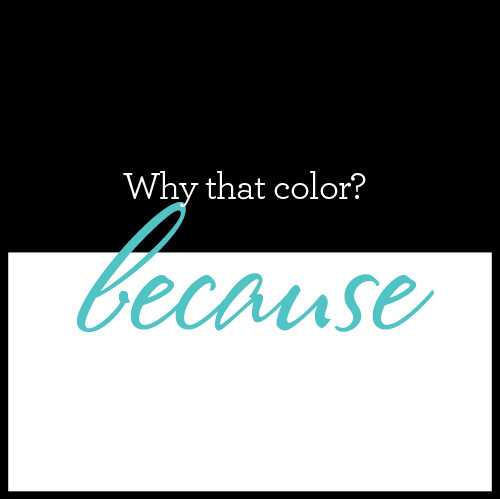 We believe our color decisions are thoughtful, inspired and strategic…always the right color for the job. For a look at how we use color creatively, check out our “What We Do” section. Comments Off on why that color? We make sure client logos are sized appropriately for how and where they will be viewed – in a print or online ad, on a billboard, in a TV commercial. Your logo is your signature. We know how important it is. It needs to be noticed without overwhelming the message or the offer. 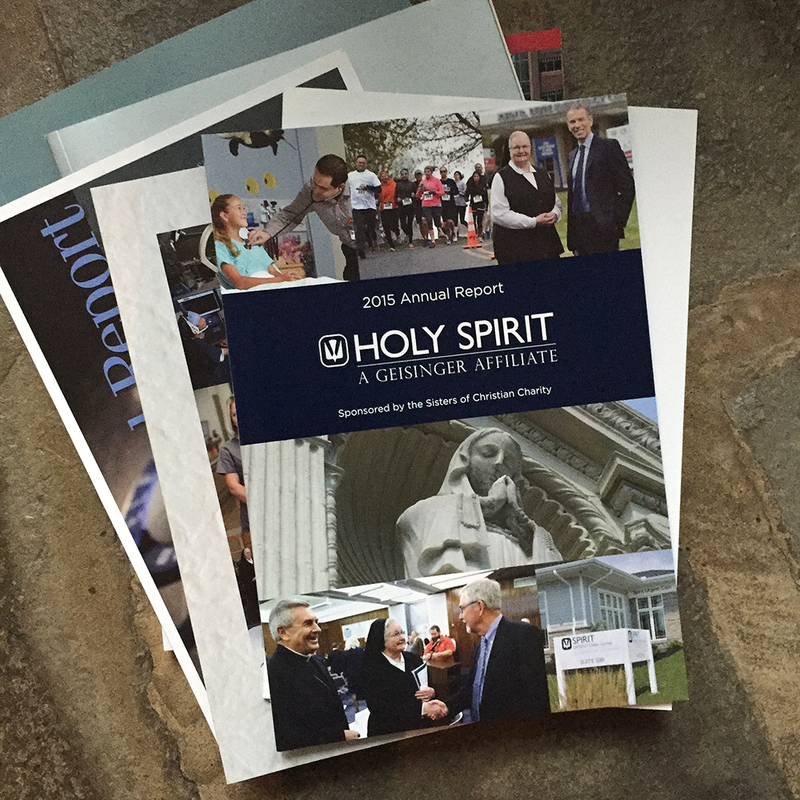 See how we adapted one client’s logo for a variety of media, including an 18-wheeler!